I was at home doing my homework on a recent Saturday when I was struck by inspiration. I can say with certainty that the resulting idea is one of the best I’ve ever come up with. I know this to be true because of the great potential for it has for making people happy and the utter lack of self-gratification that it involves. Most of the rest of this blog talks about how the idea came to me, if you want to skip straight to the idea feel free to jump down to the last couple of paragraphs. But first, let me encourage you to share this message via your choice of social media sites. I’ve never asked anyone to share an article before and I probably won’t ever do it again. But I believe that we can make the world a little bit brighter if this message gets out to enough people. When I was doing my homework I was starting to daydream a little bit. In particular I was thinking about the first time that I had done schoolwork as demanding as my current classes. It was a 10 page history paper than I needed to write in high school. At least, it was supposed to be 10 pages, I ended up getting on a roll and churning out 25 pages (which is probably no surprise to those of you who have read some of my previous articles). Mr. Riddell, my history teacher, gave me an A and called it a “herculean effort”. This was high praise from Mr. Riddell who typically expected much more out of us than we expected out of ourselves at the time. I ended up sitting back from my homework for a little bit to indulge in some additional nostalgia. I wished that I could reach out to Mr. Riddell in some way and let him know how I turned out and to say thank you for his efforts to get the most out of me. 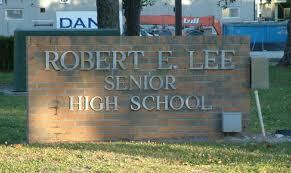 Sadly I cannot, Mr. Riddell died many years back to the detriment of many future Lee High School students. You can probably guess where my thoughts went next. I spent the next couple of minutes thinking about the other teachers who sowed into me throughout my young life. It’s interesting to think of them now and realize, maybe for the first time, that they were all people with their own lives and own families. I guess I’m probably not alone in taking my teachers for granted as a young person. Now as an adult who has multiple friends who are teachers I see the other side of the coin much more clearly. It didn’t take long for me to remember Mr. Mead. I spent more time with Mr. Mead in high school than with any other teacher. He was my 10th grade literature teacher, but more importantly he was my Brain Brawl coach. Brain Brawl is the high school equivalent of Jeopardy that some of you local people might remember from Saturday morning TV. For an hour and a half every afternoon I’d meet up with the rest of the team in Mr. Mead’s room on the bottom floor of the annex building to practice ringing in and answering trivia questions about literature, history and other academic topics. I loved every minute of it. Seriously, if practice had lasted until 6 or 7 each night I would still be all over it. I’ve maintained my love of trivia to this day, still playing regularly with friends each week at local restaurants to win free food. It’s amazing how much of what I know today I got from Mr. Mead in that classroom after school. He was a sweet man and he spent a ton of his personal time with us, continually teaching. Then I realized that Mr. Mead couldn’t have been that old when I graduated high school in 1995, certainly no older than 50. I decided to try and look him up. Facebook was a no-go but I did manage to find an address (it’s not too hard with Google). It turns out that he’s only in his mid-60s and he still lives in the same house that he had 20 years ago. I remember it because it was very close to my own neighborhood and sometimes he would give me a ride home so I wouldn’t have to ride the city bus. Right then and there I made a decision to write Mr. Mead. I want to take this chance to tell him thank you and let him know how his contribution helped me become who I am today. That’s when my idea started to flash in big bold letters in my mind. How amazing would it be if we all did this? How many teachers and retired teachers do you think look back on their lives and wonder if they really made a difference? We have a chance to tell them. We have a chance to put pen to paper and let them know without a shadow of a doubt that they were important, that they made an impact on us, that they made a difference. I can see it in my mind’s eye, thousands of teachers and former teachers receiving letters that let them know what happened to all of those kids that they wondered about after graduation. Not only letters telling them what happened, but thanking them for their part in making it happen. It gives me goose bumps. That’s the idea, let’s pay it backward. Let’s each take a few minutes to think about the teachers that made the biggest impacts in our lives. Then let’s take it a step further by looking up their addresses and sending them a card to tell them about it. Let’s tell them how the story ends and make sure that they get to rightly celebrate their part in it. As I mentioned earlier, I urge you to share this message. I’m sorry if that come across clumsily, I’m not used to doing it. I just believe that the amount of joy that we can bring to these people’s lives is limitless, but only if it catches on and the message gets out to a wide audience. Posted on June 16, 2014, in Real Life, Relationships and tagged Appreciation, High School, Idea, Lee High School, Letter writing, Pay it backward, Respect, teachers. Bookmark the permalink. 1 Comment. I loved Mr. Riddell and Mr. Mead both…. Mr. Riddell called me his space cadet and would tell me that he knew I was much smarter than I led on…. Mr. Mead seemed dry at first, but was a really neat guy… Another all time favorite of mine was Mr. Chandler (Honors Biology)… He made class so much fun!! I miss them all!!! !